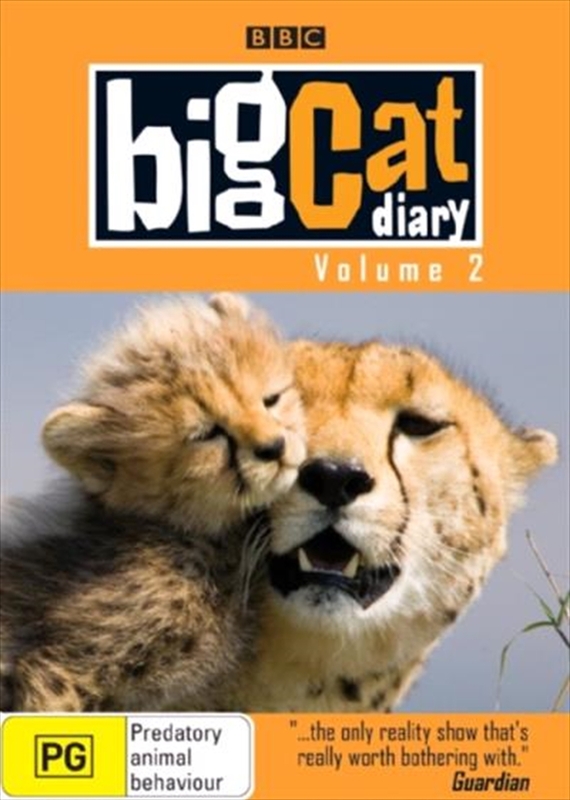 Big Cat Diary Vol 2 DVD - On Sale Now With Fast Shipping! The acclaimed wildlife soap-opera continues. From a camp in the heart of Kenya's Masaai Mara, three dedicated, specialist teams from the BBC's award-winning Natural History Unit file report on the family life of Africa's big cats. Day in, day out, each team seeks out one of the Big Cat Diary stars. The first follows a cheetah mother and her cubs, the second a pride of lions, and the third focuses on the meanderings of an elusive leopard and her cub.